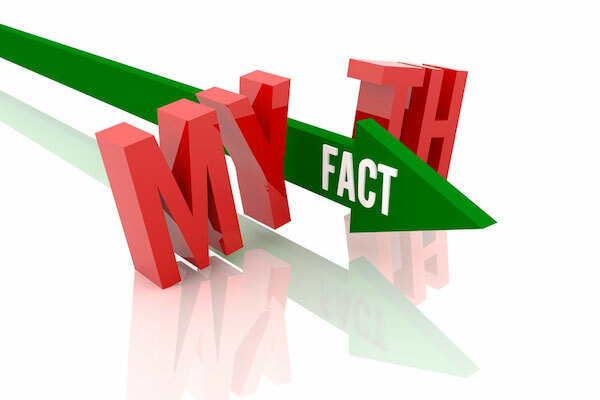 5 Common background screening myths… plus one for good luck! It is a common misconception that every screening company is the same, and thus, the cheapest check is the best. There is no single database of criminal information available, and instant checks do not exist. There are FCRA guidelines in place that consumer reporting agencies must follow; meaning every company should use the same standards; however, not all do. If you are getting a deal that seems too good to be true, it probably is. Approaching background screening in this fashion puts employers at risk for an inaccurate check, a bad hire, and even a lawsuit. The type of background check used should be determined by the job. A check can include a number of things from criminal checks and credit history to reference and credential checks. Not every company offers comprehensive background screening services. Make sure the background screening process you sign up for includes what is important to you and your unique staffing needs. A comprehensive background screen that utilizes the right products for your company and appropriately constructed for the specific position, not only improves hiring efficiency and effectiveness but can reduce costly turnover and the potential for a negligent hire. Occasionally, with common last names, the wrong ‘John Smith’ is found and reported. Under law, applicants are allowed to obtain a copy of their report and can even dispute findings. No employer may deny a candidate of that. This includes all verifications provided by the background screening agency: criminal, MVR, education, employment, etc. Most online searches are done using databases that can be out of date or incomplete. Subjects with similar names or missing or inaccurate identifying information (date of birth, previous or maiden names, etc) are all things that can make online background check results inadequate. Furthermore, many online databases are voluntarily reported to, causing anything from inconsistencies in reporting practices, to lags up to several months, to undisclosed lack of reporting for periods of time, or no reporting at all. A reliable screen is a professionally verified search. The reality is that anyone who is hiring, even small organizations or individuals, would benefit greatly from the use of background checks. Background screening is designed to help any employer make an informed, safe, and skilled hire. It is better to pay the small fee for a background check than risk thousands in damages, and months or years of invaluable time. Myth for Good Luck: It’s OK to solely base a decision on the results of the background screen. The background check is an essential tool in your hiring process, but should never be the only component. The results from the screen can verify the applicant as truthful or fill in the gaps that the candidate forgot or neglected to disclose. It can also facilitate conversations with the applicant, enabling you to choose the best candidate with improved confidence in your hiring decision. Most importantly, basing a decision strictly on the results of a background screen can easily open the door to negligent and discriminatory hiring practice litigation. You wouldn’t build a house without a hammer or only with a table saw; the same applies to a comprehensive hiring process. The truth is, background screening is an essential component to any hiring process. Making the choice to use a professional agency to conduct pre-employment background checks affords a painless experience for both applicant and employer. Contact Choice Screening today to learn more about the real background screening process.